These rooms are situated on the ground floor with a private furnished patio in which our guests can enjoy their favorite reading during the day or a glass of wine under the night stars. 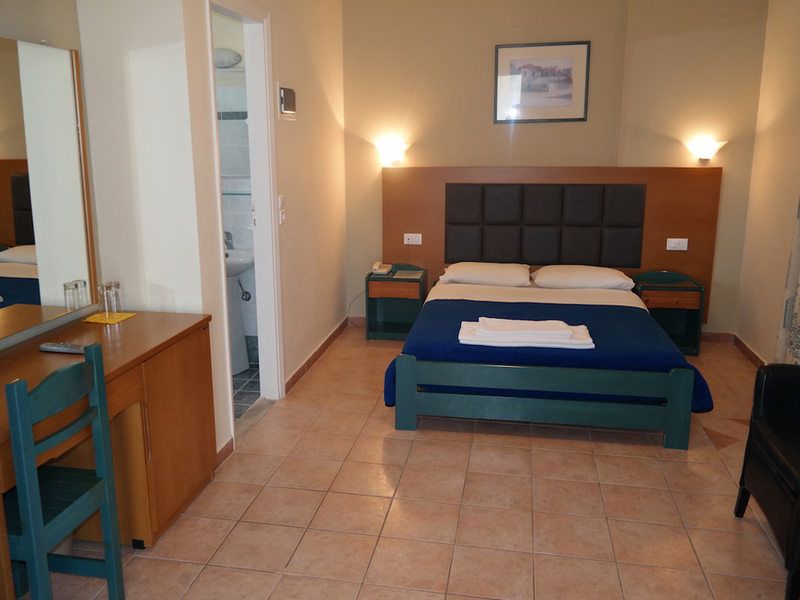 They feature double or twin beds, a bathroom with shower, flat screen TV and a mini fridge. In these rooms an extra bed can be added for a child or adult.